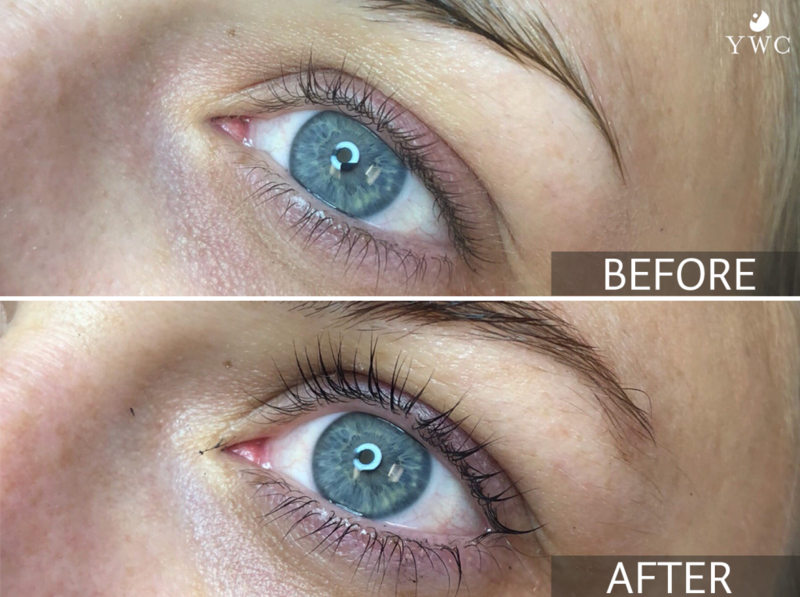 Tinting is a quick, easy, hassle-free solution to darken eyelashes and eyebrows. Much like hair dye, it is a semi-permanent solution (often a vegetable-based dye) that can last for weeks. Tinting is performed on your eyebrows and/or your eyelashes. One treatment takes about 20 minutes. We recommend retinting every 3-4 weeks, depending on how fast your hair grows. Do not apply makeup or mascara to lashes or receive other eye treatments for 24 hours. Avoid washing/wetting your hair, eyelids, eyelashes, eyebrows, or swimming for 24 hours. Use a gentle facial cleanser or eye makeup remover. Avoid exfoliating cleansers or those products containing AHA’s and oil. For more information, please see the “Tinting take home instructions” form in the box to the right. Our licensed cosmetologist and esthetician will work with you to minimize discomfort and/or side effects. Tinting is a great option for many people, but our licensed cosmetologist and esthetician will discuss your health and beauty history with you prior to your first session to ensure your goals can be achieved.